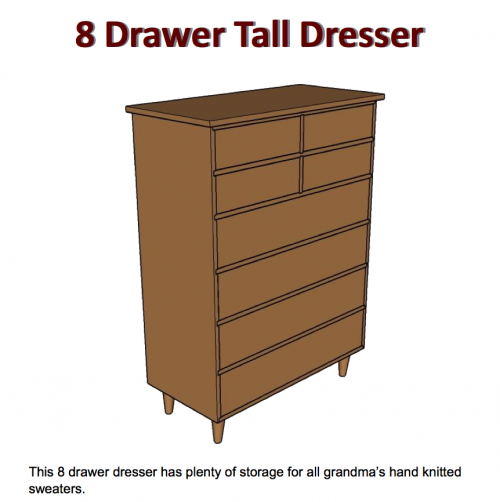 The build series for the 8 drawer tall dresser is coming to a close tomorrow with the release of the final build episode. 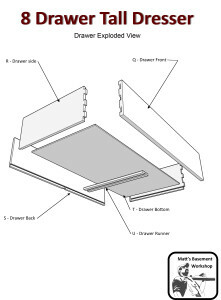 Thanks to Brian Benham of Benham Design Concepts we now have another great option for those looking to recreate it in their own shop. 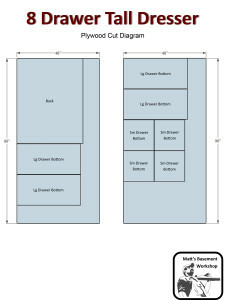 Click on the images below for a sneak preview of the PDF plan. 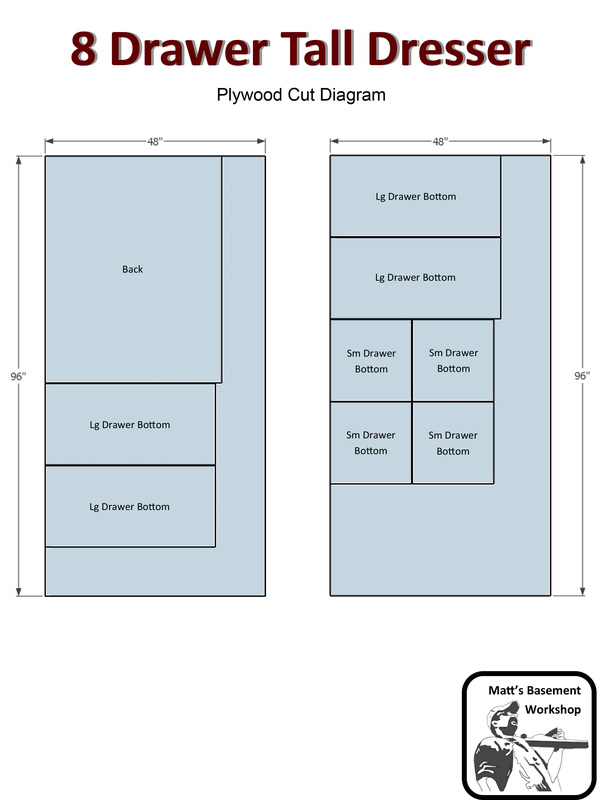 Alongside the original downloadable PDF plan we now have a Sketchup drawing option too, your choice of one OR both! 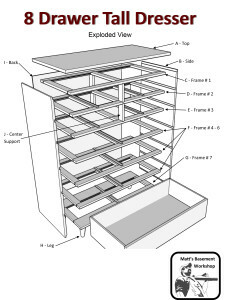 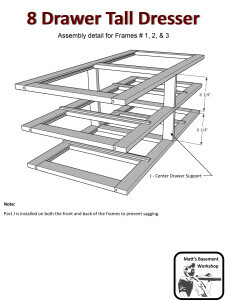 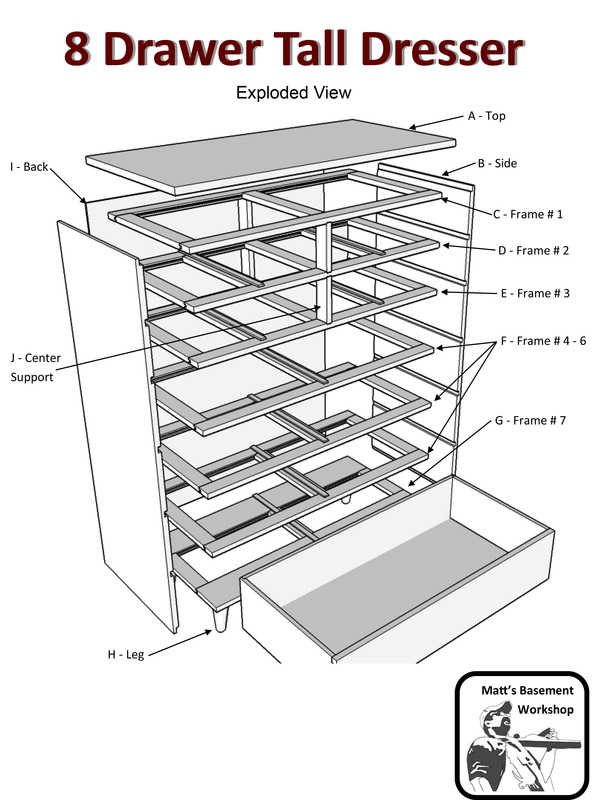 PDF plan with all the measurements, cut list, and detailed diagrams needed to build the tall dresser. 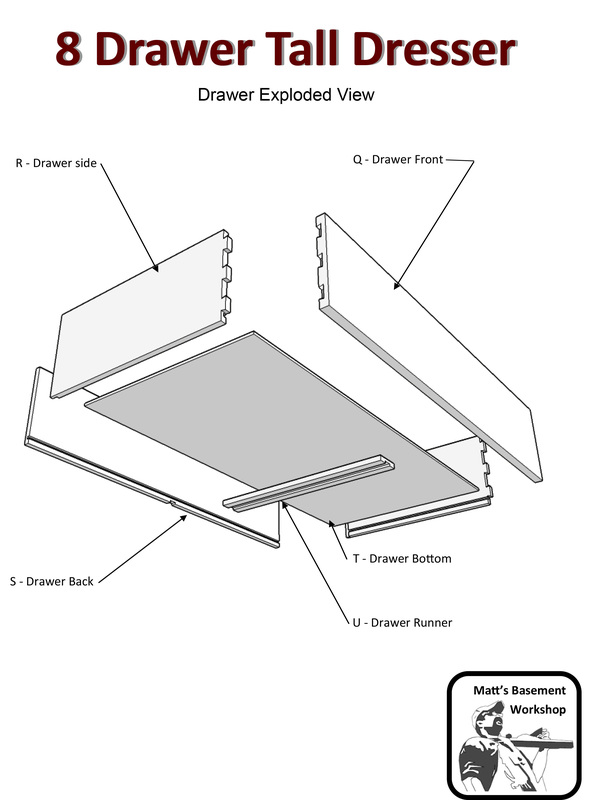 Combo version containing both the how-to PDF file AND the Sketchup Drawing. 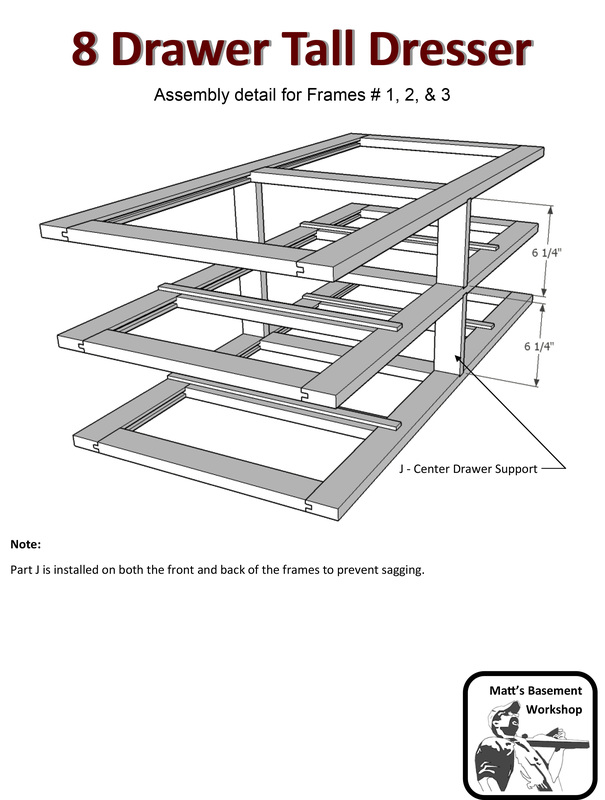 The choice is entirely your’s but regardless of which version you choose, you’ll have tools at your fingertips to build this classic piece of furniture at the heart of the recent project build featured here on Matt’s Basement Workshop.